Dr. Dog have just finished a series of massively successful concerts with The Lumineers. Now the band, whose live shows the New York Times Magazine recently described as “feeling as if you’re at the best house party ever”, will embark on a headline tour across North America performing songs from their soulful new album B-Room. In addition to the new tour dates, Dr. Dog have added Merge Records artist Saint Rich to the majority of 2014 shows. Saint Rich is the musical partnership of Delicate Steve band mates Steve Marion and Christian Peslak. Moses Sumney has also been added to selected dates. Dr. Dog’s new album B–Room delightfully mines and expands upon the surrounding landscape of Philadelphia soul. Captured primarily live in-studio, the rollicking groove and beloved musical interchange which has been delighting live audiences resonates throughout the album. For the tour the band has begun a photo road journal which will be given away as part of a contest designed in collaboration with The Impossible Project which also includes a custom camera. Fans can enter to win the photo journal along with a custom Polaroid camera designed for the band by Seattle photographer and engineer Cory Verellen. For info and to enter, go to The Impossible Project‘s website. 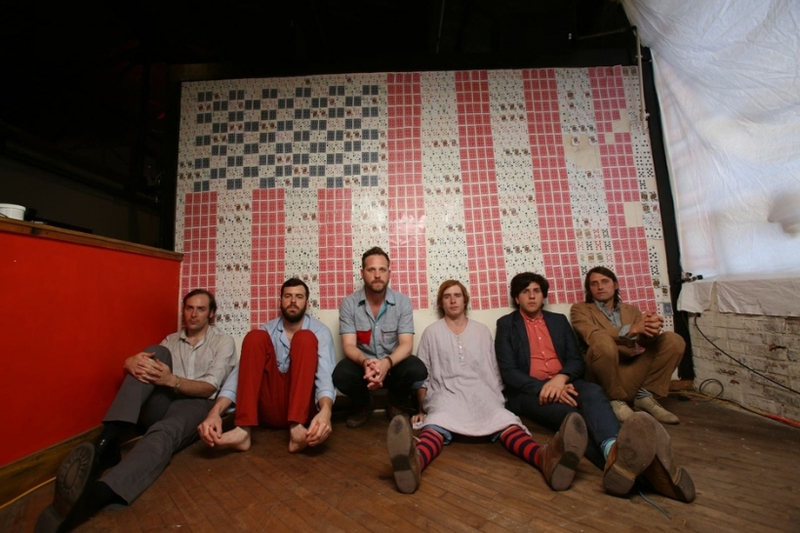 Philadelphia’s Dr. Dog will release their new album entitled B-Room on October 1 on Anti-. Showcasing some of their most mature, streamlined and soulful writing to date, the record is the culmination of a complete overhaul of the band’s writing and recording process which finds them in a new self-built studio, writing songs live in rehearsal and using the rock solid groove of the band, honed through workmanlike touring, as a powerful compositional tool. The Truth is an outstanding track that will calm you down instantly and allow you to let all that tension go. The vocals are a little Neil Young inspired while the music is repetitive yet completely soothing. It has a wonderful feel to it with the rhythmic electric guitar and steel drums really helping to create that summer, lazy day feel alongside that slow drum beat. As the band now understands, making a record is a lot like doing construction; both require a similar amount of frustration, intensity and cohesion. By building the space first and releasing all of that emotion, the band was then free to engage in their creative process without the expectation or preconception that they admittedly had brought into other sessions. Recorded primarily in live takes, the songs seamlessly fuse the spontaneity of the band’s live performances with the intricacy of their kaleidoscopic composition. Both Leaman and guitarist Scott McMicken credit this sonic evolution with relying less on the pre-produced demos and more with a reliance on the musicians surrounding them. To pre-order B-Room go to http://kingsroadmerch.com/dr-dog/. B-Room is out on October 1 2013.